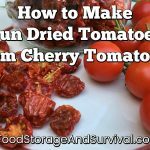 What are your options for emergency cooking? 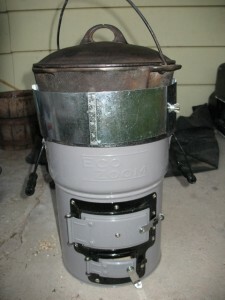 For any stove you have available for off grid cooking, you’ll need some kind of fuel. It’s best if the fuel is something you can get more of or stock a lot of. 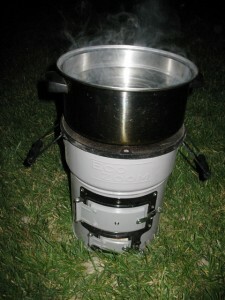 I recently had the opportunity to test out a ZoomVersa Stove from EcoZoom stoves. 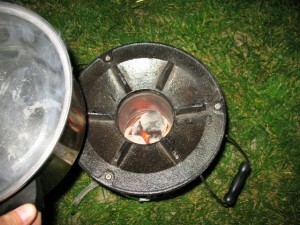 One of the benefits of the Zoom Versa stove is that it can cook with wood or other biomass, or with charcoal, and because of its design it requires very little fuel to cook. This means you’ll have to stock or gather less to get your meals cooked. First Impressions: The stove is well built and heavy. It is not small–you wouldn’t plan on taking this on a hike or anything like that. Camping with your car, yes. Bugging out on foot, no. When we opened it, even sweet husband was impressed with the quality of construction (and those of you who know him know how hard that is to do). It is ceramic lined with a cast iron cook top. The cook top has six supports that hold just about any pot including those with round bottoms like woks. Carry handles on the side make it fairly easy to lug around, but like I said, it’s not lightweight–don’t plan on lugging it too far. Included in the box is a wire support for feeding wood into the stove and a pot skirt to help divert heat around your pot. 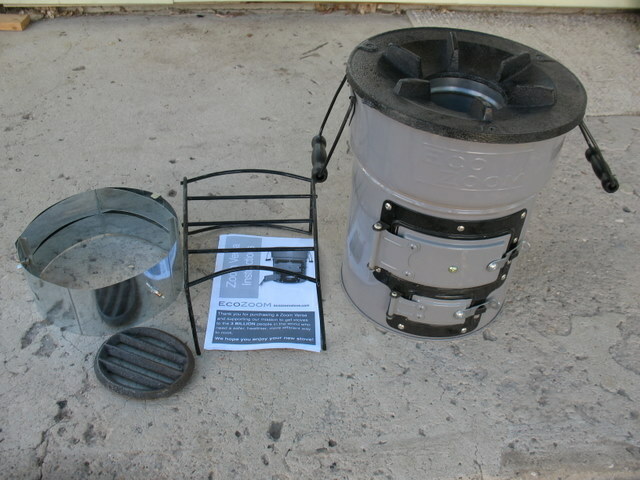 There are also instructions and a little grate for using the stove with charcoal. 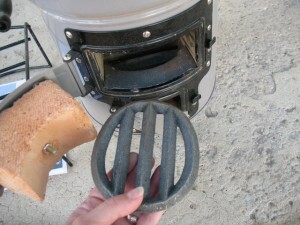 The grate is dummy-proof–being slightly oblong, it only fits into the stove one way. Perfect. On the side of t he stove there is a top hole with a swing open door for feeding the fuel in and a smaller bottom hole also with a hinged door for regulating the temperature in the stove. I tested out the Zoom Versa using charcoal. Now let me say that with any of your survival equipment, you don’t want to stash it in your shed/backpack/vehicle and never use it until the disaster hits. That could lead so some real trouble. It is best to get the learning curve out of the way when there is no disaster and you can still hit the fast food place for something to eat when your new stove doesn’t cook as you thought it might. That held true for this stove (except for the fast food place which doesn’t exist around here). It took a little practice to get it right, but ended up being a fantastic, extremely versatile cooker. Attempt #1: The first thing I thought I’d do with the stove is see how quick I could get some water boiling. 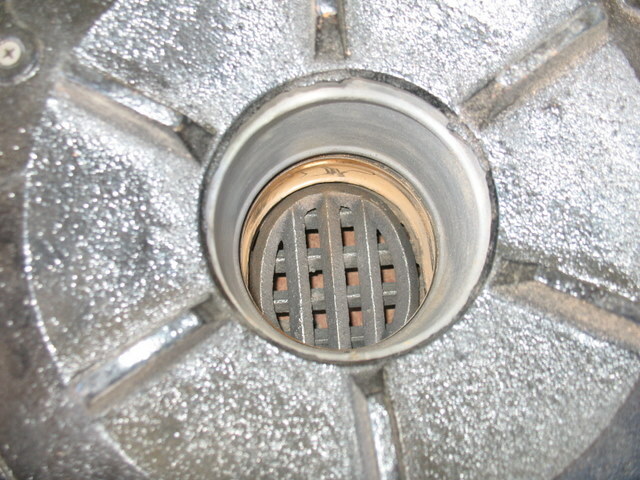 I inserted the charcoal grate and closed the top door. The instructions had a drawing of how to insert the charcoal through the top of the stove and it had 5 briquettes in the picture, so I inserted 5 charcoal briquettes into the top of the stove and lit them using lighter fluid and a clicky lighter through the bottom slot (I’m not a real charcoal expert). I put a quart of water on the stove and waited. And waited and waited and waited. Silly water got hot, but never did boil before the briquettes burned out. Attempt #2: That was all I had time for that day, so a couple of days later sweet husband came home from his trip and we thought we’d try again. 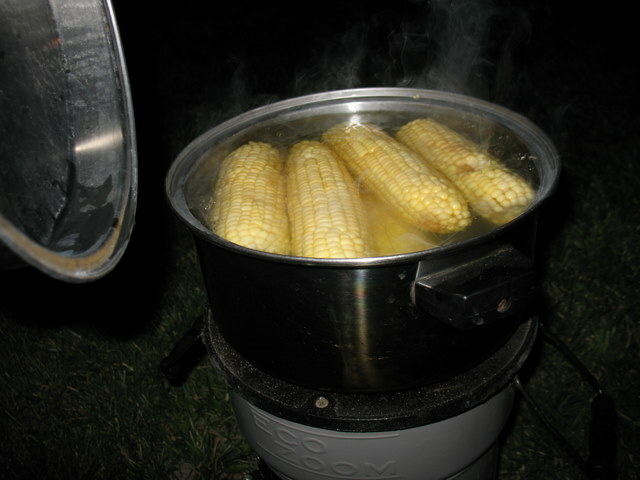 We were having corn with our dinner, so we decided to cook the corn on the Zoom Versa. This time we put in more than 5 briquettes. We started with 10 and ended up with 17 before this experiment was over. This was a much larger pot of water. It took a LONG time to boil. There was plenty of heat coming out of the cooker. If we had put a lid on the pot it probably would have boiled sooner. Yeah, it was one of those nights. So that experiment was a partial success. I figured out that I could get water to boil, but probably the charcoal was best for a different type of cooking. 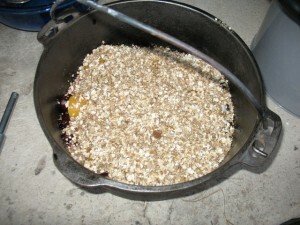 If you want water boiling fast, just feed wood in the stove and get a hot fire fast. Attempt #3: Success! After deciding that the charcoal would be best for a job other than boiling water, I decided to try my hand at making a cobbler with the Zoom Versa. 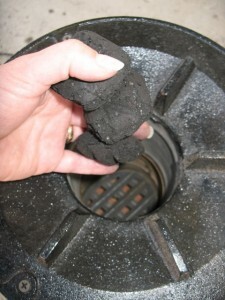 This time I tried lighting the charcoals with a little fire in the lower chamber. Some people are able to get this to work, but I’m a charcoal novice and fire is not my strong area either, so I ended up using the lighter fluid again. Be careful if you do this, it can light kind of suddenly and shoot flame out the top and side holes. 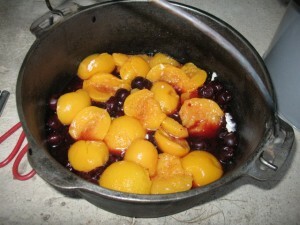 I got 10 coals lit and then let them sit and heat up while I went in and took care of the baby and got the cobbler ready. 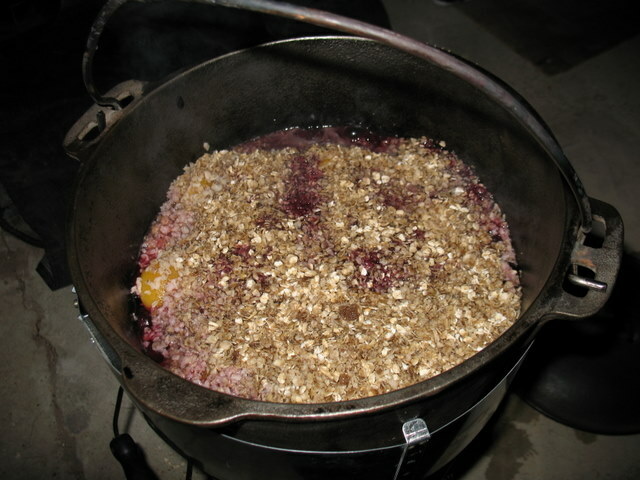 It was one of those throw together type cobblers–I used frozen cherries and bottled peaches and topped it with a mixture of oats, flour, brown sugar, butter, and allspice. Cinnamon would work well, but the cinnamon was at the top of the cupboard and I was hauling the little guy around so we used the allspice that was on the bottom shelf instead. It turned out good anyway. 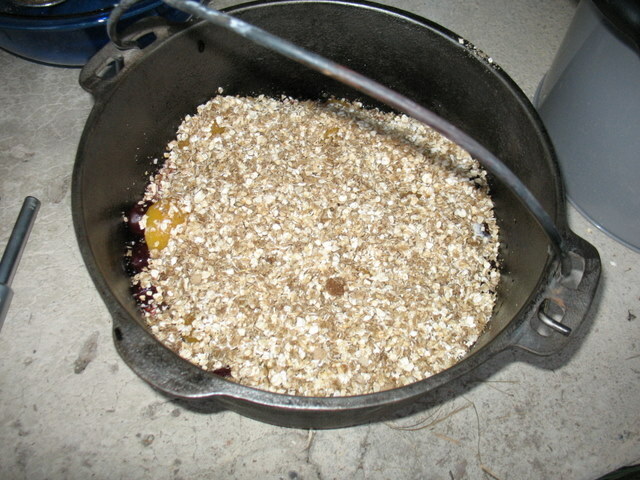 I put the fruit in the bottom of grandma’s dutch oven (the kind with no legs on the bottom) and topped it with the oatmeal mixture. By the time I had all that done (mostly taking care of the baby), the coals had burned down more than I had wanted so I added 4 more and put the pot on top. I wrapped the pot with the pot skirt to encourage baking rather than just heating the bottom of the pot. Then (this was the hardest part), I left it there for 40 minutes. Okay, it really wasn’t hard at all–it was super low maintenance. Those charcoals cooked away and the cobbler bubbled and baked up nice while we ate dinner and didn’t do anything but go out and peek in on it every once in a while. Sweet! This is what using the charcoal is good for. Nice even heat over an extended period of time–not cooking something up fast. 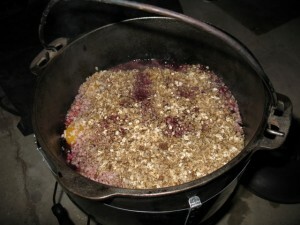 The cobbler baked up nice and even–no burned spots on the bottom. Holy yumminess with 14 charcoal briquettes. Attempt #4: It gets better. This is why I encourage practice with all your survival equipment. A couple of days after the cobbler, I baked one of those little chickens in the same dutch oven. This time I lit 10 briquettes and put the chicken on shortly after I knew they were all lit. I had the bottom door mostly closed to keep the coals from burning out too fast. I left it there thinking I’d check in on it and add more briquettes if needed. Well, the way things work at my house lately, high maintenance dinners are a rarity. I didn’t get back to check on the chicken for 50 minutes. The coals were burning down, and the chicken was cooked. Yeah, we threw in some fresh sage and thyme from our herb garden. The kids were appalled at the “sticks” on the chicken and told me flat out they weren’t eating those sticks for dinner. I took them off before serving it. Anyway, back to the cooking. Always check with a meat thermometer to make sure your meats got fully cooked when you’re using some alternate cooking method. 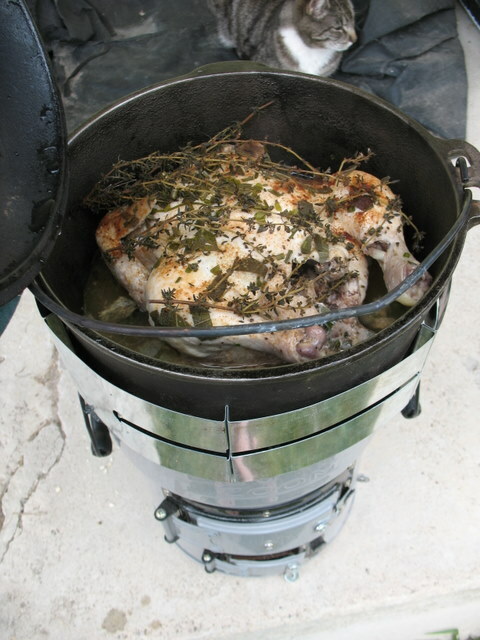 The chicken was fabulous and fully cooked with 10 briquettes. Pretty slick little stove. See what a little practice with your equipment can do? I haven’t tried the stove using wood, but when I do I’ll let you know how it goes. Coupon Code: Now for the special offer. The EcoZoom company has offered to give my readers $5.00 off any stove purchased at their site. 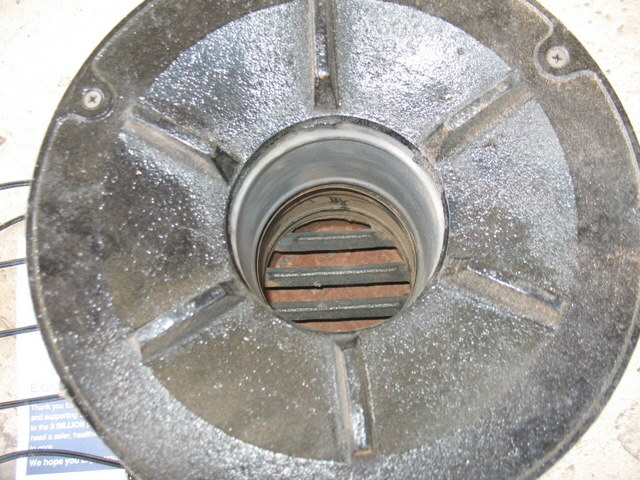 In addition to the Zoom Versa, they also offer the Zoom Dura which only cooks with wood. The regular retail on these stoves is $119 and $129 at the time of this posting, so $5 off isn’t huge, but every little bit helps. 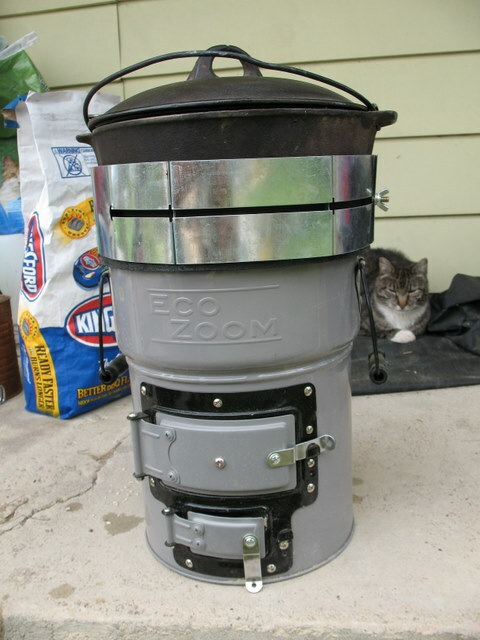 Plus for every stove purchased, they send one to a cook in need in a developing country through their Z+ program. Check their site for more information on that project. 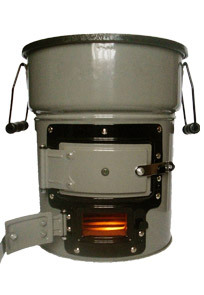 To order a stove with the discount, Click here and enter coupon code “fss91511” at checkout. The coupon code is good through September 15th, 2011. I do get a small commission for any stoves sold through links from my site. Thanks to EcoZoom Stoves for sending me a Zoom Versa stove to do this review with. I have enjoyed testing it out and will be using it more in the future. I looked at those for a while. I was thinking it would be great if there was a need in the middle of the summer. In the winter I have a flat topped wood stove that I can put like three pans. It can do double duty of heating the house and cooking in the winter. But summers here get way to hot to fire up the wood stove inside the house. We do get a lot of small twigs and branches from trimming our fruit trees. Yeah Janice, I was wondering if some wood fuel might be more efficient. It might be hard to come up with charcoal unless you were already producing your own. I noticed that in the pictures for boiling the water you did not have the metal heat dispersing ring on it. Could that have been a problem. It looks like your pot was larger than what the ring would accept. 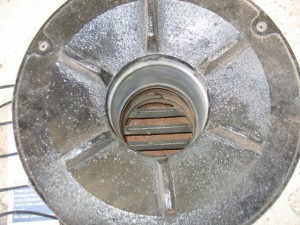 So all in all leads me to believe we need to look for pots that will fit inside that metal ring.